Here’s what we have so far. This list will continue to grow. If you’d like to add your business or organization’s camp option, please email us. It’s totally free to add your camp to our list! Last year I spent a ton of time making the Park Authority Camps easier to search and sort through. This year, they’ve done a way better job than I ever could- check out their website where you can search, compare, etc, or pick up a “Summer Camp Guide” which is listed by location by date this year, rather than by topic like last year!! Great job Park Authority!! Urban Evolution will be hosting camps from June 11th-September 7th. They describe them: “So your 9-year-old likes to turn your living room into the set of Wild and Crazy Kids and observing them in the backyard is like watching a scene from Legends of the Hidden Temple? THIS is the camp for your child! The day camps serve as a safe and exciting introduction to Parkour and Freerunning. Don’s know what Parkour is, pizza brain? It’s getting over, around, and through obstacles to enhance physical fitness and mental preparedness. Your kids will also be exposed to movement-based sports like gymnastics, tricking, breakdancing, and Capoeira (Brazilian Martial Arts). Think Guts on steroids. And, at 75% off, this challenge is better than entering the Temple of Doom. Edgemoor Art Studio offers 8 weeks of “Art Rocks” Art camp for all ages. Days are divided with younger children in the morning and older kids in the afternoon. All supplies and snacks are included. The Little Gym of Gainesville offers a full summer of programming with a different theme each week. Classes are for ages 3-8 years old, and are priced by the day, rather than by the week, making it a good flexible option for part-time parents. The State Park Program offers a teen training program that actually includes a $500 stipend! Have older kids? Check it out on their website. George Mason University’s “Potomac Arts Academy” offers several options throughout the summer for ages through high school. 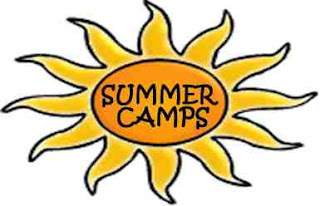 Lake Ridge Parks and Recreation will offer camp all summer beginning Monday June 25. Full day is 8:30 to 4:30, and half day is 8:30 to 12:30. Registration begins March 1st. Camps range in price from $80 to $175 a week depending on the number of hours and whether or not you are a LRPRA member. Contact the Recreation Dept., (703) 491-2154 for details. Gymboree Bubble Camp– Every Friday. Get the fun of camp without the daily commitment! Bubble Camp is a drop-off program for “potty independent” 3-5 year olds which offers Play, Music, Art, Sports, School Skills, parachute time, traditional games and signature Gymboree activities all in one day! Camp is every Friday in June, July and August from 9AM-3PM. The cost is $35 and includes snack and lunch. Call or email for weekly themes and reservations. LRPRA Summer Camp begins Monday, June 25th. Full Day Camp is from 8:30am-4:30pm, half day camp is 8:30am-12:30pm. Registration begins March 1st. Non-refundable deposit of $25/week due at registration. 703-491-2154. Member and Non-Member rates, multi week discount, prices start at $160/$80 (member full/half day) and $175/$90 (non-member full/half day). Swim Kids offers weeklong sessions all summer for $99 per week. It’s 5 classes per week, leaving plenty of time for other activities. details, call 703-754-0161 or visit our website at www.NLTraining.com. Mention this listing and get a FREE Athletic Performance Evaluation! St. Paul UMC Preschool will be hosting camps all summer long for ages 2.5-5 on Tuesday/Wednesday/Thursday from 9am-12pm. Rainbow Therapeutic Riding Center is having three equine assisted psychotherapy (EAP) camps that focus on a broad range and combination of challenges facing pre-teens and teens. All activities are based in groundwork distinguishing these classes from our traditional therapeutic riding classes. EAP includes a vast array of treatment strategies utilizing the horse. Considerable success has been observed in the mental health realm with horse activities on the ground.Groundwork classes develop cognitive skills, sensory skills, and confidence. Cognitive sessions address the many processes of the mind, including planning, judgment, memory, orientation, concepts, attention and language.Sensory processing sessions provide activities working with the horse to improve the brain’s ability to take in, analyze and respond to information from the body’s five senses. The primary goals of these sessions are increased body awareness, sequencing and judgment skills, attention span, cause and effect, motor coordination, spatial awareness, and early learning skills. In addition, clients improve judgment skills, social interaction, coordination, motor planning, self confidence and self-esteem, and a greater sense of independence. Ages 8-13; $130 per child. $145 but early registration by April 30th gets $20 off. Rising 6th to 9th graders, this camp is ideal for students new to VEX robotics as well as students who have participated on a team, but would like to increase their programming skills. The week concludes with a competition on Friday from 8am-2pm. Bring a bag lunch Monday-Thursday. $230 includes Tshirt, camp, and pizza on Friday. June 25th-29th Woodbridge HS. FLL1 Robotics Camp for rising 4th and 5th graders in groups of 4. Students will build an autonomous robot to carry out missions in an obstacle course. M-F half day, bring a snack daily. $205 includes camp and t-shirt. June 25-29 Patriot High School. onstrations and special guests will be featured daily. YOUTH SPORTS will offer a specialty camp for tumbling. Half day ($140) or Full day ($190) ages 5-15. A schedule will be handed out the first week of camp. Church of the Word Preschool Camp (Little Lambs Village)- We will celebrate summer with lots of fun, and we will also spend time getting ready for the upcoming school year. It will be an exciting three weeks of camp for returning preschoolers to learn and play with school friends and also a great boost to those are moving on to Kindergarten, preparing for the big move to the big school. These three weeks will also be a great time to introduce preschool starters to Little Lambs. FLL1 Robotics Camp for rising 4th and 5th graders in groups of 4. Students will build an autonomous robot to carry out missions in an obstacle course. M-F half day, bring a snack daily. $205 includes camp and t-shirt. July 16-20 Woodbridge HS. YOUTH SPORTS will offer a specialty camp for cheerleading. Half day ($140) or Full day ($190) ages 5-15. A schedule will be handed out the first week of camp. pizza on Friday. July 16-20 Patriot HS. YOUTH SPORTS will offer a specialty camp for Boys Training. Half day ($140) or Full day ($190) ages 5-15. A schedule will be handed out the first week of camp. FLL 2- Rising 5th to 8th graders who are already familiar with LEGO NXT will work for one week from 8:30-1 on programming and building with a competition on Friday. Bring a snack daily. $275 includes camp and t-shirt. July 30-August 3 Patriot High School. the Big Bad Wolf! If this is your kind of adventure and your up for the fun then join us. VEX 2 Robotics Camp is for rising 8th-10th graders with 1-2 years of VEX experience, this camp is for students competent with the basics of programming and using the VEX system. TWO WEEK camp with a competition the 2nd friday. Bring a bag lunch Monday-Friday of the first week, Monday-Thursday the second. $420 includes camp, tshirt, and pizza lunch the 2nd Friday. July 30-August 10 Patriot High School. FRC First Robotics Camp for rising 10th-12th graders, this TWO WEEK camp is designed to introduce experienced robotics students to competition. This is a large-scale robotics program which involves the use of peer tools and other equipment. Students will work in groups of 4-6. Robotics Coach recommendation required. 2-3 years of robotics experience is preferred. Competition the 2nd Friday 8am-2pm, bring a bag lunch Monday-Friday the first week and Monday-Thursday the 2nd week. $455 includes camp, t-shirt and pizza lunch the 2nd Friday. July 30-August 10th Patriot High School. Children will participate in activities designed to de- velop a better understanding of soldier life during the American Civil War. Activities include “Enlist in Vir- ginia’s Army”, “Life in Camp,” “Infantry Drill,” “Did Civil War Soldiers Really Eat that Stuff?”, “Civil War Medicine” and a field trip to Manassas National Battle- field Park. 9am-Noon Daily. FLL 2- Rising 5th to 8th graders who are already familiar with LEGO NXT will work for one week from 8:30-1 on programming and building with a competition on Friday. Bring a snack daily. $275 includes camp and t-shirt. August 6-10 Patriot High School. YOUTH SPORTS will offer a specialty camp for “mind and body”. Half day ($140) or Full day ($190) ages 5-15. A schedule will be handed out the first week of camp. YOUTH SPORTS will offer a specialty camp for jump rope. Half day ($140) or Full day ($190) ages 5-15. A schedule will be handed out the first week of camp. tended the Basic Civil War Camp. 9am-Noon daily. YOUTH SPORTS will offer a specialty camp called Splash Down Adventure. $220. ages 5-15. A schedule will be handed out the first week of camp. feature a different time period. Activities will include crafts, games, history, music, food and much more. 9am-noon daily. YOUTH SPORTS will offer a specialty camp called Pirates Cove Water Adventure. August 27-31st $220 ages 5-15. A schedule will be handed out the first week of camp. Got a Lego/Engineering Fanatic? Check out Play-Well’s Summer camps! 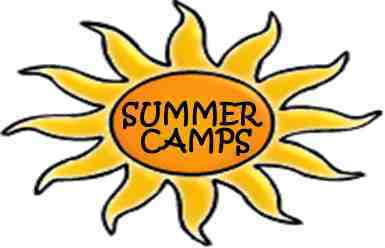 Various Fairfax locations will offer camps all summer long.